Hello Friends! 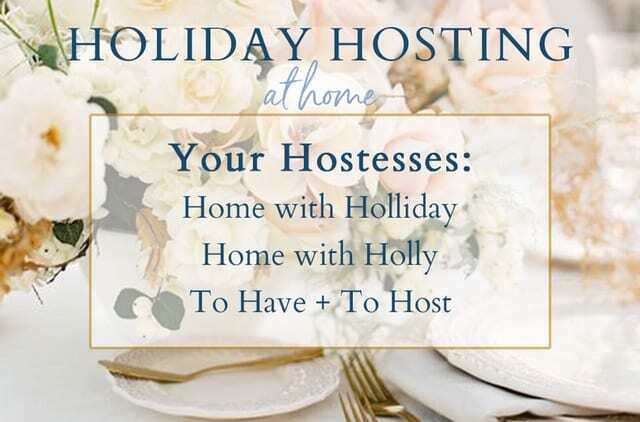 It’s been a few months since me and my very talented friends,Lory (To Have To Host) and Holliday (Home With Holliday) started sharing our posts with you in our Holiday Hosting at Home Blog Hop Series. Now that the Christmas decor is all put away we have shifted our focus to the upcoming spring holidays and first up is Valentines Day! This is one of my favorite holidays to celebrate. We all love entertaining in our homes and enjoy sharing it all with you. 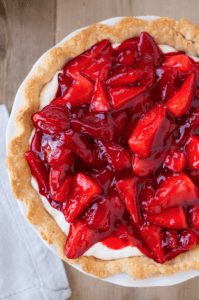 We hope you enjoy our 7th post filled with Valentines Day inspiration and ideas. Here is what my friends have been sharing, including some amazing Valentine’s Day inspirations. If you would like to pin any of these images, please go to the original post linked below each image. You will want to see their whole posts anyway because there is so much inspiration in each of these posts. I was so excited to see that both Lory and Holliday both hosted “Galantines Day” parties for their closest friends. Lory hosted a lunch and Holliday hosted a dinner. I am hosting a Galantines Day Brunch in a few days with some of my favorite gals from the crossfit gym here in Utah and I can’t wait to use some of their ideas for my party! 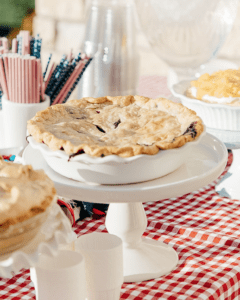 One of the traits of a good hostess is to allow your guests to help if they offer. One of Lory’s good friends offered to make these adorable heart shaped cookies for dessert. 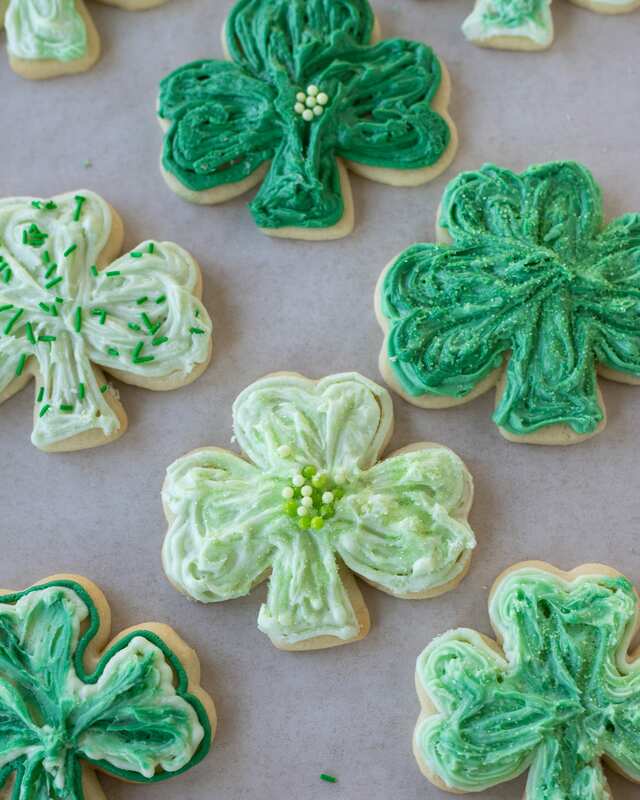 Lory doesn’t love baking and graciously accepted her friends offer to make these cookies. 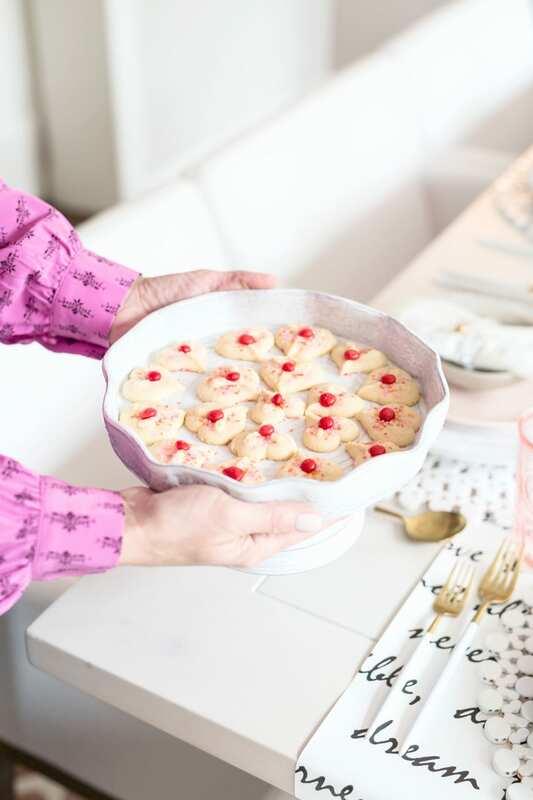 These delicious cookies are perfect for any Valentine’s Day celebration. Anything that has butter in the name has to be good and I can’t wait to try some of these! The recipe is linked here: Buttery Spritz Cookies! Holliday has always loved Valentines Day because it celebrates love! 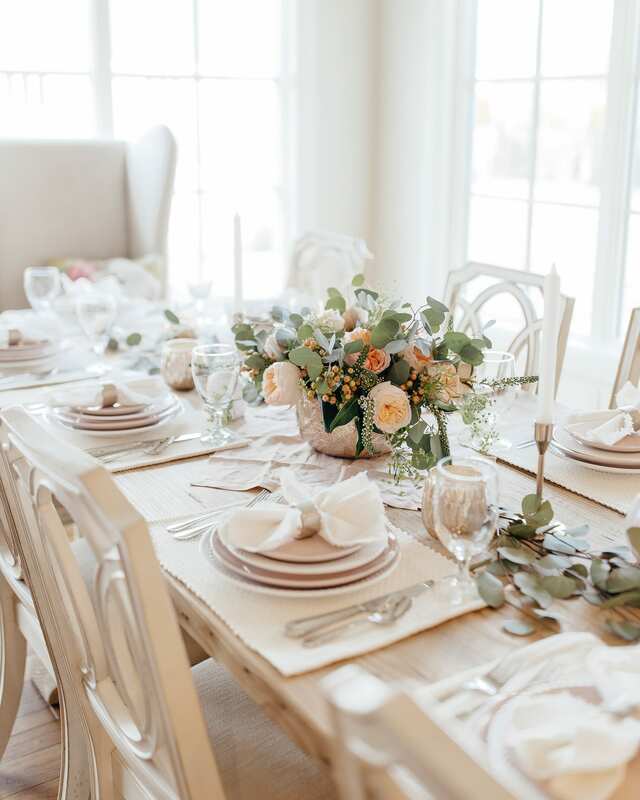 She decided to host a Galantines Dinner Party for a group of her favorite gals. 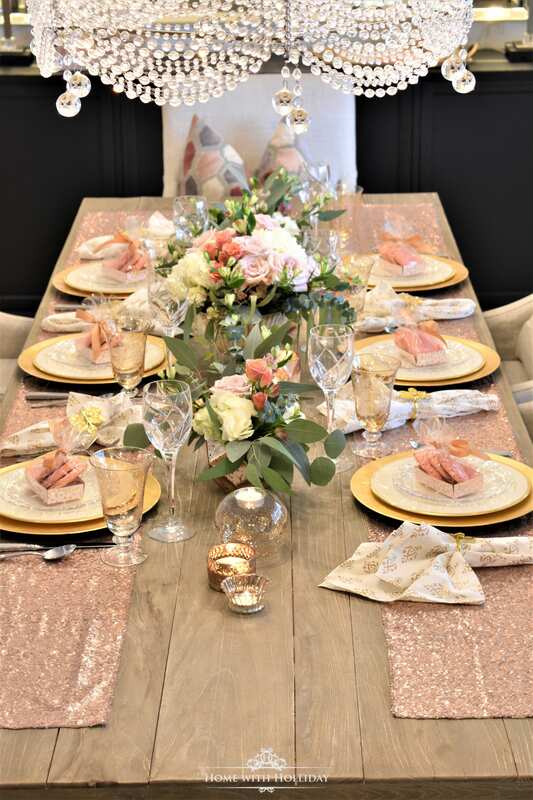 She created this beautiful blush pink and gold table. 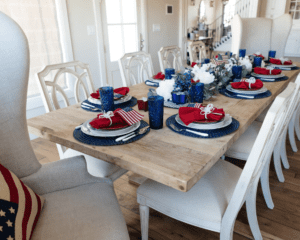 She used two table runners instead of placemats that run down each side of the table. I love this idea! Click here for more Valentines Day inspiration from this post. Right after the New Year, Holliday hosted a Wine Tasting Dinner Party for some of her closest friends. 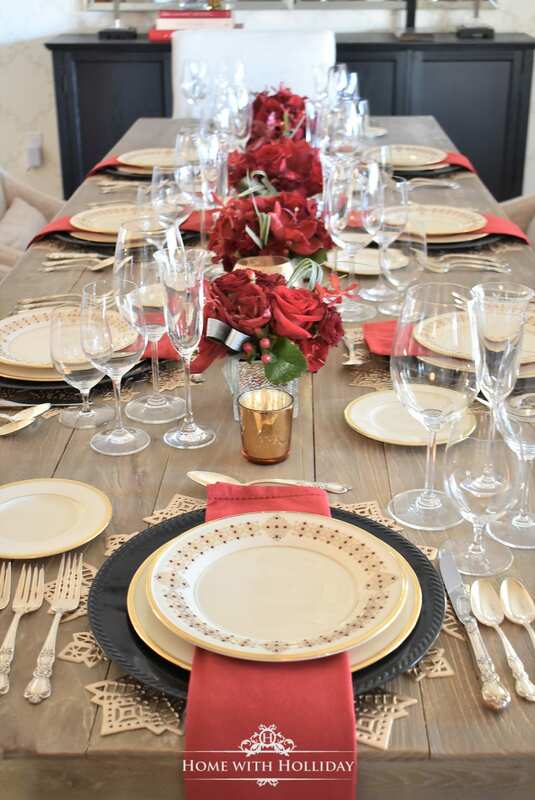 Since they were tasting several red wines, She decided to use red as her accent color for the table setting. To create extra drama, she used all red flowers for the centerpiece. Her use of all one color can be used for many occasions including Valentines Day. Its a beautiful table and I’m sure her friends loved it as much as I do! 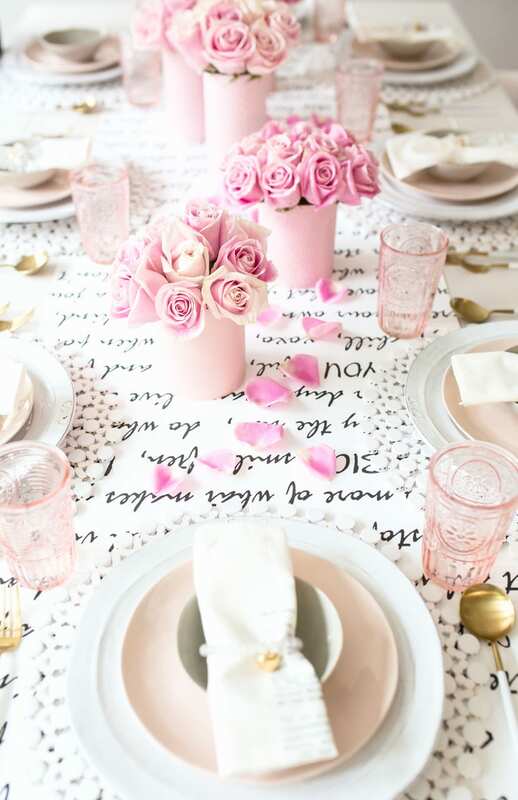 I created this Pretty In Pink Table Setting to celebrate Valentines Day with my family and some friends. I used fresh flowers and eucalyptus for the centerpiece and used a mix of white and pink dinnerware. 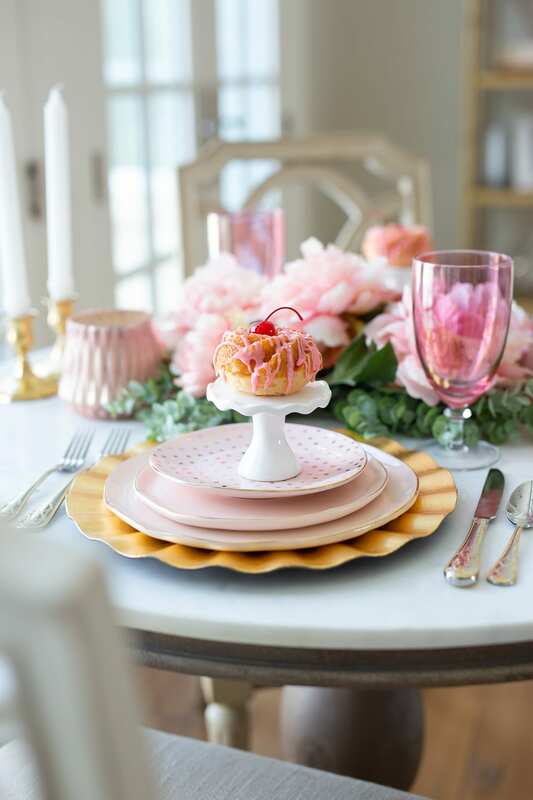 I’m looking forward to creating another pretty pink and gold tablescape for my upcoming Galantines Day Brunch later this week! Stay tuned for the details! I celebrated Valentines Day with my husband early this year since we will be traveling on the 14th. 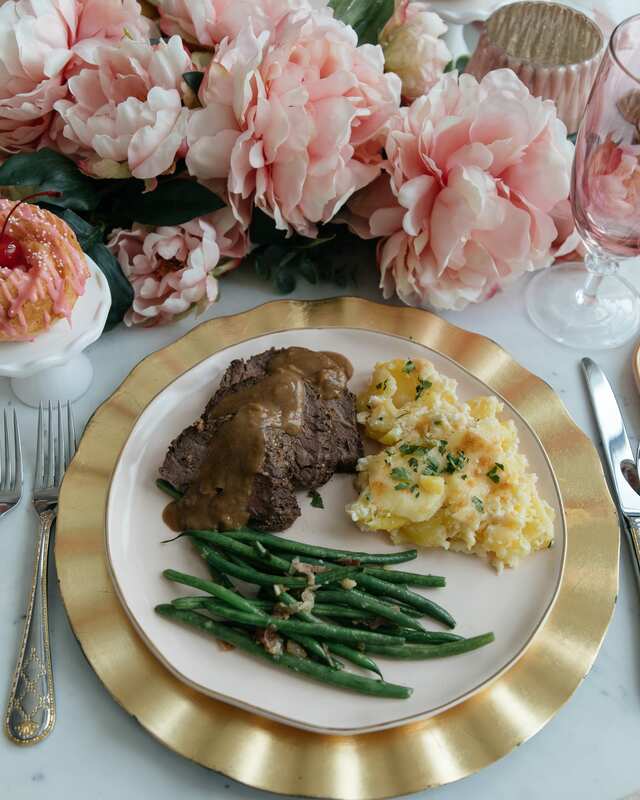 I created a Romantic Valentines Tablescape for Two and cooked some of my husbands favorite recipes. 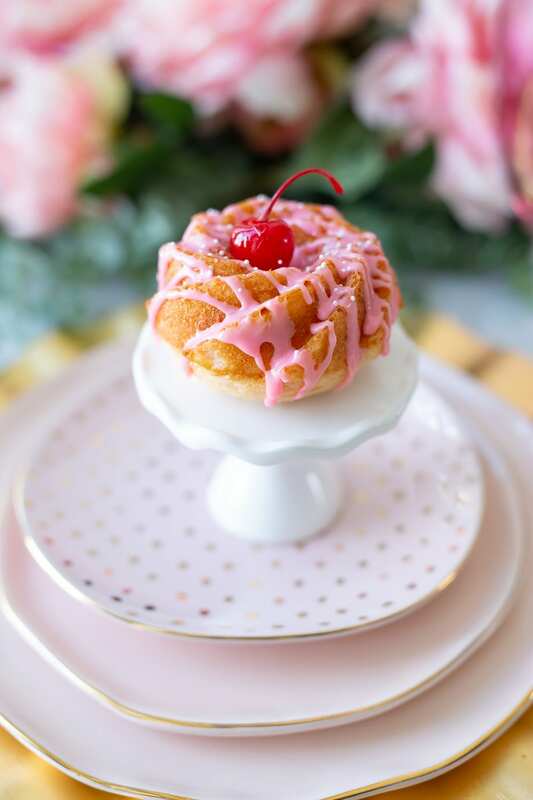 (The recipes are all up on the blog) For dessert, I made these simple Cherry Chip Mini Bundt Cakes. Give them a try! They are simple to make and our kids loved them too! !